How many of you use air fresheners at your homes? 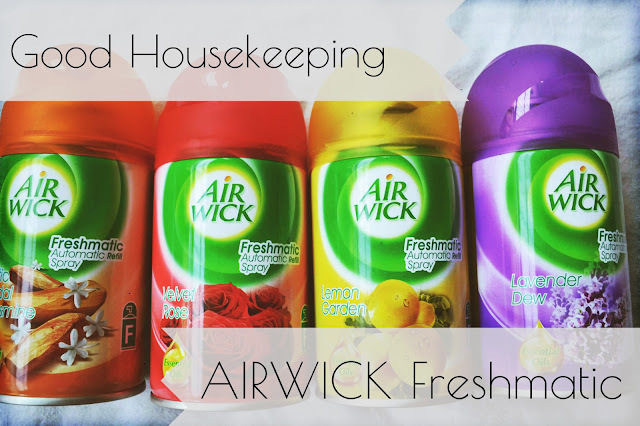 I have always used fresheners in my car but recently came across this TVC for Airwick Freshmatic and wanted to try the new fragrances for my home. So, I picked up 4 fragrances- Lavender Dew, Lemon Garden, Velvet Rose and Mystic Sandal and Jasmine, that came in form of refills with an automatic diffuser you can plug anywhere. So, a pair of diffuser and refill cost me 500 bucks, which will last for about 55 days (at low intensity spray). You can re-use the diffuser with different refills for a long, long time so it seemed like a fair deal. I was always under the impression that air fresheners tend to irritate you and your guests with their strong smell. However, Airwick Freshmatic strikes the right balance- it is as mild as your nose can take, but strong enough to neutralize regular home odours. Most air fresheners tend to mix their scent with the odour of the room, resulting in a weird smell, without solving the real purpose. However, this product successfully removes any trace of bad odour and replaces it with clean, breathable air. My home is pretty cozy, with all rooms located to close proximity to the kitchen. You don’t always want your room to smell like food, do you? That’s when you need this product which gives your room a pleasant aroma. Another important area of homes that can really use air fresheners is obviously the bathroom. The diffuser can be set to the frequency of your liking and automatically spray the fragrance after regular intervals. This keeps the bathroom pleasant to use throughout the day. Coming to the fragrances, I personally love floral fragrances in the beauty products and body perfumes that I use. 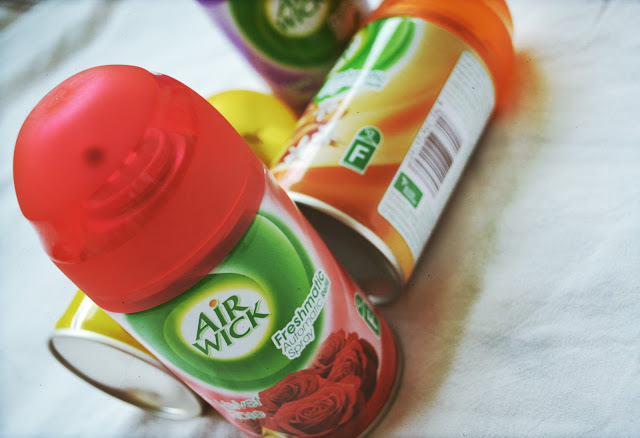 So, when it came down to picking the Airwick Freshmatic fragrances, my choices were pretty obvious. The Rose and Lavender fragrance leave your room smelling like a garden and uplifts your mood. Sandal and Jasmine is the mildest of all but equally effective. Lemon Garden is more citrusy and super-strong and leaves a refreshing fragrance which is very desirable in the summers. Another thing that I observed is that how your room smells really affects your mood. A pleasant-smelling room is definitely uplifting and makes you want to work better and work more. I am a blogger, and my room is my workstation. It is where I write, generate ideas and explore the creative side of me. So, it’s important that I have a favourable setting for the same that triggers good ideas. This product provides that perfect work environment for me. Do let me know what you think and which one’s your favourite fragrance!